Rafael Kubelík’s recordings of the Mahler symphonies, set down between 1967 and 1971, have been praised ever since their release. Half a century later, they still number among the reference recordings of Mahler’s symphonic cycle. 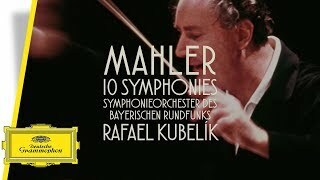 Kubelik passionately championed Mahler’s music when it was still unfashionable to do so. Notably, this was the first Mahler cycle to be performed and recorded by a German orchestra. Now, Deutsche Grammophon has made these recordings available for the first time on Blu-ray audio in 24 bit / 96 kHz.